This is the Islander pepper. One of the new varieties I am growing this year. I just got done transplanting them into 3.5 inch pots. Germination was great, 28 husky, lovely little plants out of 32 that I seeded. 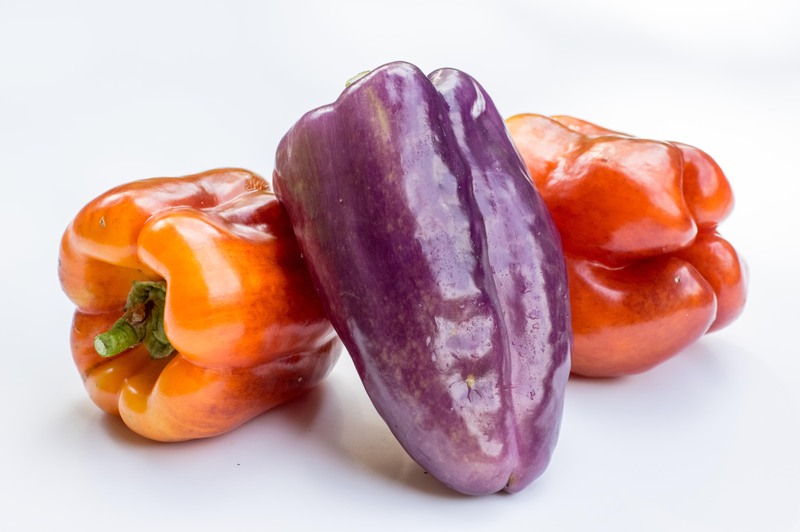 These peppers go from purple to yellow to orange to deep red. On the same plant. The picture up above shows them in various stages of ripening. They are a sweet bell type and ripen relatively early. Of course, that all depends on how happy your pepper plants is. I wonder if they have a different flavor at different stages of color. That would be inspiring to the chef! My guess is yes. 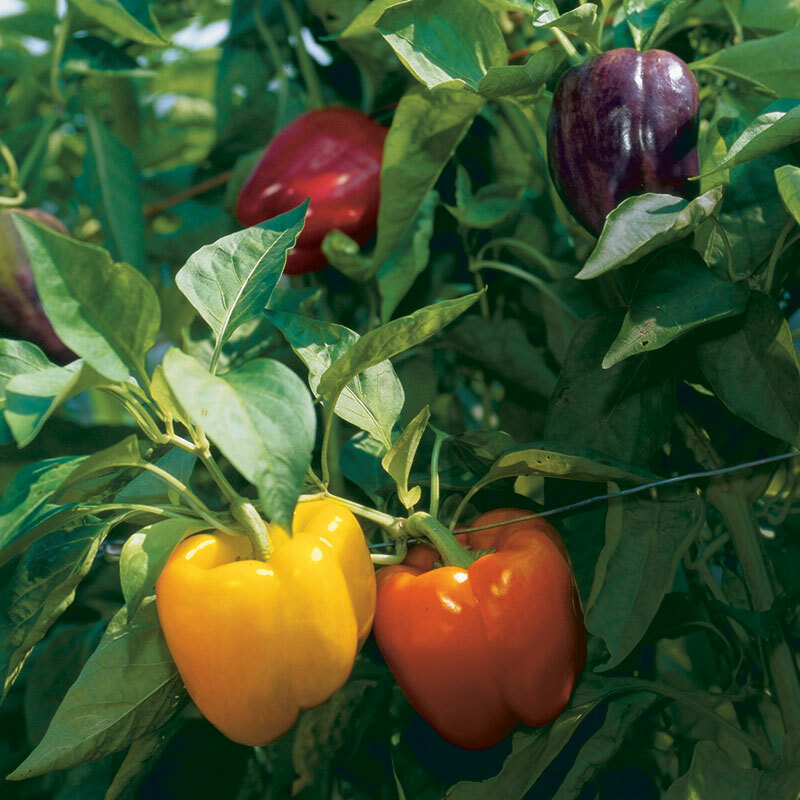 Most peppers start out green and then change colors. They are definitely sweeter than thwhen they were gree. Red would be the seetest in it’s evolution. I don’t think they change their taste, just the sweetness.